"I’ve got a movie in mp4 format on my hard drive. How can I burn this MP4 movie onto a DVD disc for playback on my home DVD player? Or…is this just a waste of time? Or..is there a way to convert the mp4 format into something playable on a DVD player?" There are many reasons why you might want to burn media files to a disc. For example, if you’re planning a long road trip, you might want to select a mix of favorite songs and then burn these songs to an audio CD or DVD disc so that you can play in your car. In this post, you will learn multiple effective solutions to convert and burn MP4 to DVD disc Windows 10 and previous. It’s quite easy to burn MP4 to DVD on Window 10/8/7 and previous only with the help of DVD burning software. However, it’s important for you to know what kind of source MP4 files and target DVD disc you want to burn since these things would determine which kind of MP4 to DVD burning software you should adopt. For example, to burn MP4 files to data DVD disc, you could directly use Windows Media Player, which is unable to burn MP4 video to video DVD. "DVD-Video" is a DVD format playable on DVD players and computers. Commercial and rental DVDs are in DVD-Video format. It is playable on most DVD players for homes and computers. DVD-Video format is recommended if you wish to share your videos on DVDs with families and friends, as the format is playable on most DVD players. On the other hand, "Data DVD" is a DVD format that stores videos as data files on DVD. Contents on Data DVD can be edited on computers, or extra contents can be added later. Data DVDs can be played on computers. For playing back on a stand alone DVD player, the player needs to support the data format of the DVD. Data DVD format is recommended for PC users who wish to edit videos or add extra data on created DVDs. An MP4 to DVD burner program. 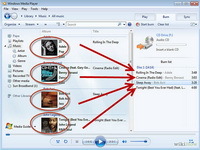 For Windows user, Windows Media Player will not be a stranger. It’s the Window’s defaulted media player which also provides the facility to burn CDs and data DVDs with your DVD burner drive. 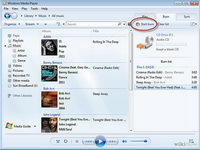 You can use Windows Media Player to copy music, pictures, and videos on your computer to a blank CD or DVD. This process is called burning. Check the following steps to learn how to burn MP4 to DVD on Windows 10 free with Windows Media Player. 1. 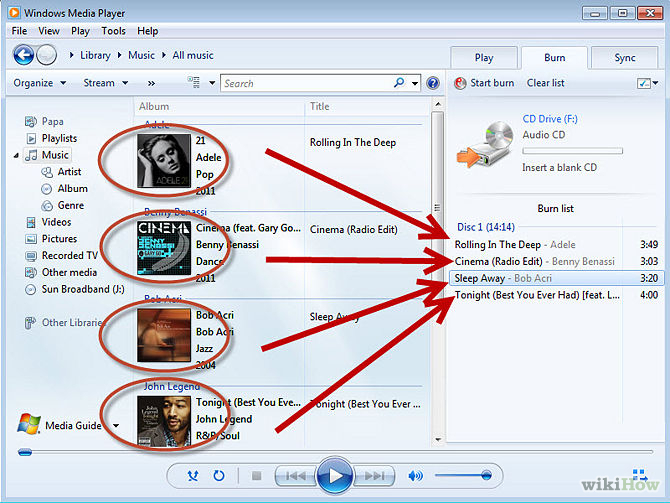 Launch Windows Media Player and then open the "Burn" tab. 2. Drag MP4 files from library to the Burn panel on the right sidebar. You could adjust the order of imported files. Also, you could import other files like music files and image files for burning to data DVD disc. 3. 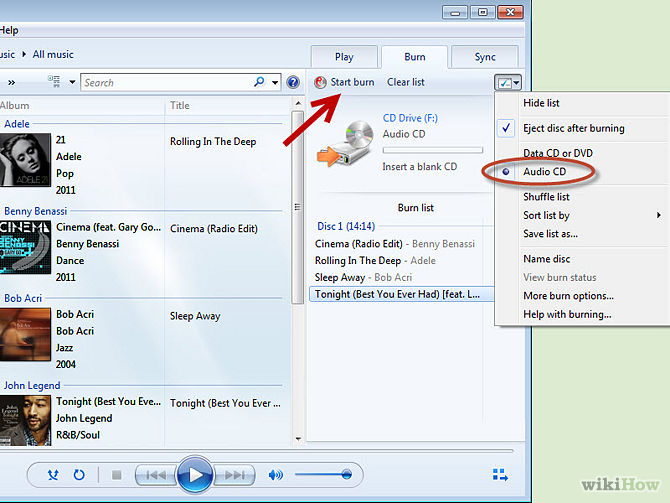 Click the drop-down botton to select whether to burn "Data CD or DVD" or "Audio CD". 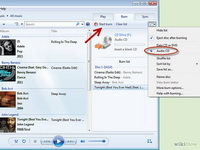 Select "Data CD or DVD" option since you would like to burn MP4 to DVD. Insert a blank writable DVD disc into disc recorder drive. 4. 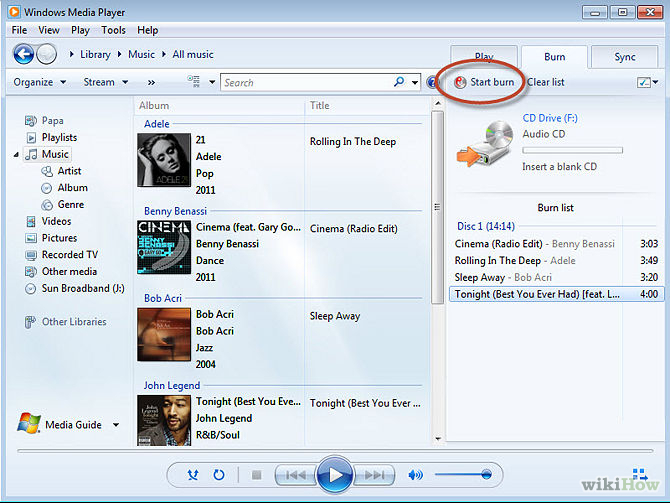 Finally, click the "Start Burn" button to start burning MP4 to data DVD disc within Windows Media Player. While Windows Media Player only creates data DVD disc from MP4 files, Leawo DVD Creator successfully avoids these shortcomings and becomes the best choice for you to burn MP4 to DVD on Windows 10 and previous. officially known as Leawo Blu-ray Creator, you can easily convert and burn AVCHD to playable DVD disc for playback on your home Blu-ray Disc Player or PS3. Why Leawo DVD Creator is the Best MP4 to DVD Converter? 1. Support 180+ video formats, including: AVI, MP4, MKV, FLV, WMV, MOV, 3GP, MTS, M2TS, F4V, etc. 2. Preset disc menu templates. Allow you to edit disc menu as you like. 3. Edit video files to change video effect and apply 3D effect freely. 4. Burned DVD movies could be played on any DVD player freely. Step 1: Launch Leawo MP4 to DVD converter. 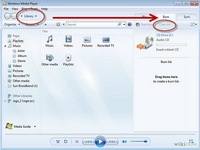 Click “Add Video” button, or directly drag and drop source MP4 files into this MP4 to DVD burner. Note: Insert a blank and writable DVD disc into the disc recorder drive if you want to burn MP4 to DVD disc. At the bottom, select disc type according to the disc you’ve inserted to the disc drive, and set disc aspect ratio and quality. Step 2: If you need, select a disc menu template from the right sidebar and then click the middle of it to get instant preview. You could even dit disc menu by changing background music/photo, title, text font, etc. Step 3: Click the big green "Burn" button to call out the setting sidebar, where you need to set Burn to (Multiple choices allowed), Disc Labela and Save to options. 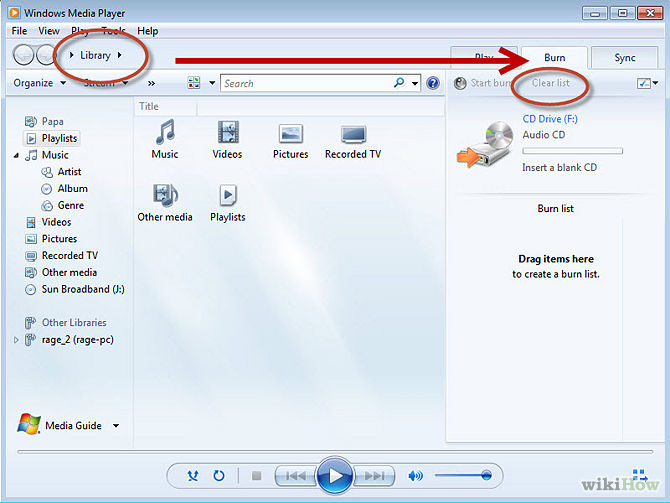 To burn MP4 to DVD disc, select disc drive as target under Burn to. The Burn to option allows multiple choices. Step 4: Finally, click the bottom "Burn" button on the sidebar panel to start burning MP4 to DVD on Windows.